Dr. Jason Wang is an Associate Professor of Medicine and Health Economist at the Zucker School of Medicine and Associate Investigator at the Feinstein Institutes of Northwell Health. He received a bachelor degree in computational mathematics from Shandong University, China and a master degree in applied economics from Fudan University, China. He then received a Ph.D. in Economics (Econometrics; Game Theory) as well as a MA in economics from SUNY Stony Brook. Dr. Wang spent 14 years and was Director of Data Analysis and Assistant Professor at Mount Sinai School of Medicine. He then worked for six years and was Senior Director of Evaluation, Research and Analysis in the New York City Department of Health and Mental Hygiene. Dr. Wang joined Northwell in 2016. 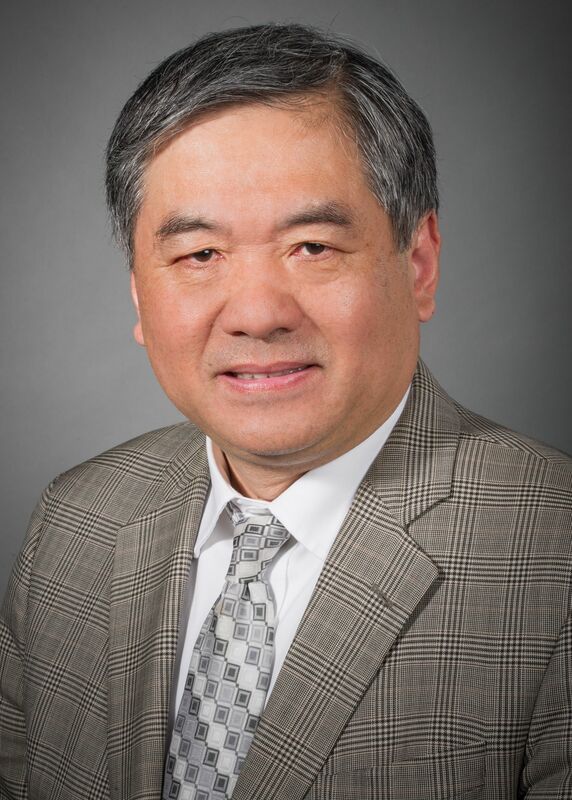 Dr. Wang has extensive experience in healthcare, health equity, and health economics research. He has published over 50 peer-reviewed papers in world class scholarly journals. His recent publications focus on population health, quality improvement, health economics, electronic health records and related fields. He is one of a few researchers trying to apply game theory principles in public health and clinical research. Dr. Wang is focusing on cost-effectiveness analysis, chronic disease control, health policy matters, and statistical and econometric methods. He is also interested in applying game theory principles in public health and clinical research. Improving Clinical Quality Measures for Independent Practices in NYC through a Private-Public Partnership: Intervention and Evaluation. Challenges and strategies for hypertension management among New York City small practices: A mixed methods qualitative analysis of practices with varying rates of blood pressure control. EHR data on patient preferred language as a proxy to identify practices that serve foreign-born patients. Trends in weight assessment and counseling among Medicaid beneficiaries with diabetes: An evaluation of a population health oriented information technology initiative. Primary Care Information Leveraging EHR data to explore associations between patient place of residence and depression diagnosis and screening in New York City. Assessing Racial Disparities in Breast Cancer Care in New York City. Evaluation of screening colonoscopy bowel preparation quality in the New York City direct referral and patient navigator program. Identify the Leadership in Decision Making – a Practical Stackelberg Model Approach. Jason J. Wang, Chloe H. Winther, Jisung Cha, Colleen M. McCullough, Amanda S. Parsons, Jesse Singer, Sarah C. Shih. “Patient-Centered Medical Home and Quality Measurement in Small Practices.” AJMC, Jun 2014, 20(6). Edward C. Norton, Nathan W. Carroll, Morgen M. Miller, Kasey Coyne, Jason J. Wang, Lawrence C. Kleinman. “Computing risk ratios from data with complex survey design.” Health Services and Outcomes Research Methodology, Jun 2014, 14(1-2). Ryan, Andrew M.; McCullough, Colleen M.; Shih, Sarah C.; Wang, Jason J.; Ryan, Mandy S.; Casalino, Lawrence P. “The Intended and Unintended Consequences of Quality Improvement Interventions for Small Practices in a Community-based Electronic Health Record Implementation Project.” Medical Care, Sep 2014, 52(9). Amy Balbierz; Susan Bodnar-Deren; Jason J. Wang; Elizabeth A. Howell. “Maternal Depressive Symptoms and Parenting Practices 3-Months Postpartum.” Matern Child Health J, Nov 2014. Himali Weerahandi, Joseph Lurio, Michelle Pichardo, Damon Duquaine, Winfred Wu, Neil Calman, Don Weiss, Melissa A. Marx, Jason J. Wang. “Effect of an Electronic Alert on Treatment of Skin and Soft Tissue Infections.” JMPM, Nov/Dec, 2014. Jason J. Wang, Jisung Cha, Kimberly M. Sebek, Colleen M. Mccullough, Amanda S. Parsons, Jesse Singer, Sarah C. Shih. “Factors Related to Clinical Quality Improvement for Small Practices using an EHR.” Health Services Research, Dec 2014, 49(6). Remle Newton-Dame; Jason J. Wang; Michelle S. Kim; Zoe R. Edelstein; Blayne Cutler; Benjamin W. Tsoi. “Evaluating the 2010 New York State HIV testing law in NYC ambulatory practices using electronic health records.” Journal of Acquired Immune Deficiency Syndromes, Jan 2015, 68(1). Colleen M. McCullough, Jason J. Wang, Amanda S. Parsons, and Sarah C. Shih. “Quality Measure Performance in Small Practices Before and After Electronic Health Record Adoption.” eGEMs, Jan 2015, 6(1). Aurora O. Amoah, Sam Amirfar, Kimberly Sebek, Sheryl L. Silfen, Jesse Singer, Jason J. Wang. “Developing Composite Quality Measures for EHR-enabled Primary Care Practices in NYC.” JMPM. Jan/Feb 2015. Sheryl L. Silfen, Jisung Cha, Jason J. Wang, Thomas G. Land, Sarah C. Shih. “Patient characteristics associated with smoking cessation interventions and quit attempt rates across ten community health centers using electronic health records.” AJPH. April 16, 2015. Amoah, Aurora O.; Amirfar, Sam; Silfen, Sheryl; Singer, Jesse; Wang, Jason J. “Applied Use of Composite Quality Measures for EHR-enabled Practices.” eGEMs. July 2015, 3(1-13). Samantha F. De Leon, Lucas Pauls, Vibhuti Arya, Sarah C. Shih, Jesse Singer, Jason J. Wang. “Early effects of physician participation in a public health initiative on medication adherence in a workforce population.” JABFM. November-December 2015; 28 (6).